MOUNT PLEASANT, Mich. — Dave Keilitz has announced that he will step down as Executive Director of the American Baseball Coaches Association in June of 2014. He has served with distinction in that capacity for the last 20 years. Prior to that, he was the Athletics Director at Central Michigan University for 10 years, leading the Chippewas to 26 Mid-American Conference championships, a span in which every coach was named MAC Coach of The Year at least once. He also was the head baseball coach at Central Michigan for 14 years and never had a losing season, compiling an impressive 456-203 record. He coached eight All-Americans, and 51 of his players signed pro contracts with seven eventually making it to the major leagues. He was involved with the baseball program for 20 years and was a graduate assistant and coach of the freshman baseball team for five years as he established an 84-26 record. Keilitz was Central Michigan’s first All-American baseball player and established 19 game, season and career records for the Chippewas. 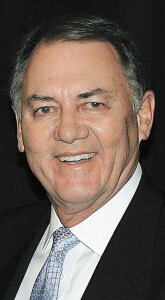 During Keilitz’s time as Executive Director of the ABCA, the association’s membership and number attending the annual convention have grown significantly. 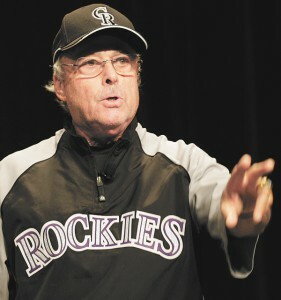 In addition, he had his hand in important NCAA legislative accomplishments for baseball over the years as ABCA Executive Director including NCAA Division I bracket expansion, change of season, bat standards, academic performance, as well as recruiting and practice schedules, just to name a few. He helped stop attempts to reduce the number of games in NCAA Division I on several occasions and other potentially damaging NCAA legislation. He is a member of the ABCA Hall of Fame, Midland County Sports Hall of Fame, Central Michigan Athletics Hall of Fame, NAIA Hall of Fame and MAC Hall of Fame. A in-depth look at what Keilitz has meant to baseball coaches on all levels of baseball will be in the Sept. 6 issue of Collegiate Baseball newspaper. OMAHA, Neb. 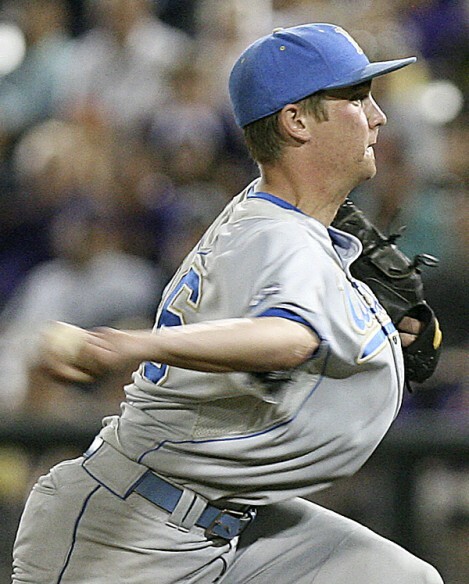 — UCLA closer David Berg is able to juggle four balls at a time and six with a partner. It only seems fitting since he is the greatest closer in college baseball history and seems to juggle anything batters have waiting for him. No closer in college baseball history has put up the staggering numbers that Berg has in his first two years with the Bruins. 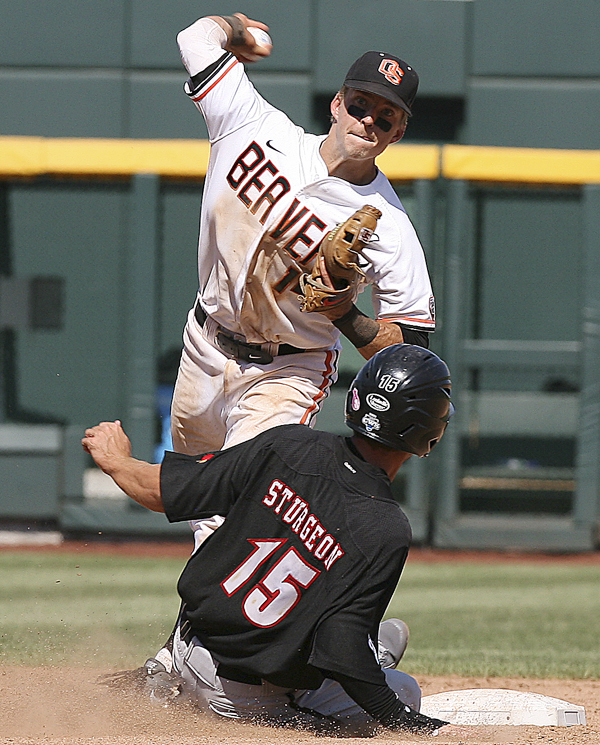 As his sophomore year recently concluded with UCLA’s first national baseball championship, Berg has now appeared in 101 games in two years (50 as a freshman and NCAA record-tying 51 this season) as he saved an NCAA record 24 games in 2013. In 101 appearances, he only has two blown saves. And both times, he came back to post a win. The Louisville Slugger first team All-American also posted a 7-0 record this season in 78 innings with a 0.92 ERA (second best in the nation) and struck out 78 batters with only 11 walks. As hard as it is to believe, three seasons ago at Bishop Amat High School (La Puente, Calif.), his pitching career was on the rocks. During his junior year, he only was allowed to pitch 9 1/3 innings as he was learning to throw as a sidewinder from his normal ¾ arm slot. He had a 6.00 ERA with 4 walks and 3 hit batters as he gave up 8 earned runs. “David came in as an outfielder/pitcher as a freshman and was a good athlete,” said Bishop Amat Head Coach Andy Nieto. “Entering the fall of his junior year, he was having some difficulty pitching on the varsity level. It just wasn’t happening. I talked to my pitching coach Chris Beck and told him that we had to ‘Muckey’ him. “There is a well known coach in Southern California by the name of Scott Muckey at Crespi High School who annually turns one of his pitchers into a sidearmer to give opponent hitters a different look. “Both Chris and I felt David would be a good candidate to try this. There was no guarantee it would work. “So we talked to David about it, and he took it from there as he worked extremely hard to learn this new delivery. And he wasn’t allowed to throw over the top any more. Nieto acknowledged that Berg had a tough junior year as he worked on his new arm angle. During Berg’s junior year, he appeared to be a nervous wreck when he did pitch as he walked halfway to the plate to retrieve balls from his catcher and constantly paced around the mound. Nieto and pitching coach Chris Beck had to remind Berg to stay on the pitching circle. “He was definitely a pacer at that time. But now he has grown up physically and mentally and has a chance to pitch in the Big Leagues in a certain role. “He has shown he can pitch to both right and left handed hitters which is rare for a sidearmer. “We could see the potential he had, but David just needed some work at the change. “We knew he was a diamond in the rough. The movement he had with the new arm angle was terrific, and the deception was superb. His senior year at Bishop Amat was sensational with a 7-1 record, 1.05 ERA and 4 saves as he led the Lancers to the CIF championship with a 29-4 overall record. He had 21 appearances in 33 games that season and threw 46 2/3 innings. It was a transformation for the ages. “During his senior year at Bishop Amat, he was our salvation,” said Nieto. Berg’s pitches darted under and over bats as hitters had trouble even making contact. With renewed confidence, he was now a mentally tough pitcher who could conquer anything. The breakout game of his senior season was at the National Classic when Bishop Amat took on St. Francis High School (Mountain View, Calif.) which was ranked No. 1 in the nation at the time. The game didn’t start well for Bishop Amat as starting pitcher Daniel Zamora was chased from the game after 2 1/3 innings. Berg came in to face this remarkable ball club and struck out 10 of the final 14 batters over 4 2/3 innings of relief work. Nobody could hit him as a re-tooled sidearmer. Strangely, no college offered him an athletic scholarship despite his superb senior season. His only offer was an academic grant from NCAA Division III Cal. Lutheran. Late in May, UCLA Recruiting Coordinator T.J. Bruce felt the Bruins should take a chance on him, and Bruin Head Coach John Savage agreed. U.C. Irvine and Nevada-Reno also started showing interest. More On David Berg: The full story of David Berg is in the July 12, 2013 edition of Collegiate Baseball. He explains that he hasn’t been on any scholarship his first two years at UCLA despite throwing in 101 games and why he might not next season as well. He delves into how he made the adjustment to throwing sidearm, what type of pitches he has and the challenge of being a closer. Head Coach John Savage discusses why Berg is so special is as well as UCLA baseball team sports psychologist Ken Ravizza. To obtain this issue, CLICK HERE. MIAMI, Fla. — Practicing to throw in game-like drills has long been needed in baseball to allow players to maximize their throwing skills. The typical practice routine involves two players throwing the ball back and forth in order to build up arm strength and develop some degree of accuracy and quickness. However, the game requires wide variety of throws, few of which are found in just playing catch. This has led to a decreased level of throwing skill. It is my opinion that players do not want to re-warm their arms when batting practice has been completed for both teams, and therefore are inclined to skip infield drill. Starting in the early ‘80s our teams started to take infield immediately after warming up, and before batting practice at home games. The advantages of having a freshly maintained field and the players properly warmed up were obvious. No longer did the players have to be alerted to prepare for “infield in a few minutes” and rush to warm up their arms, sometimes insufficiently. Injured arms were often the result. I would like to propose a series of throwing drills that involve the use of a various sized square formations, each providing a chance to practice game-related options. Groups of four in square formation can be set up near each foul line. Getting sufficient repetitions is the basis for all acquired skills and throwing is no exception. Start out slow before picking up the tempo. Insist on proper footwork and arm action. Four players form the corners of a square 20 feet apart and execute short throws in a clockwise, counter clockwise and diagonal direction. The two types of throws are the underhand toss and the arm side “flip” where the player extends his arm while pronating (thumb down). The coach can call out clockwise, counter clockwise, diagonal or allow player options. Reminders: The underhand toss should be executed with a firm wrist extended directly at the receiver’s chest. The arm side extension is best executed when the fingers also extend to the receiver’s chest. Both types of throws should be completed with a walking follow through. Four players form the corners of a square 60 feet apart and execute overhand throws, also in a clockwise, counter clockwise, diagonal and player optional direction. The emphasis at this distance is quickness. Catch ball close to body. Don’t get quick until you secure the catch. The enlarged square give the players a chance to stretch out their arms in the same directions as the smaller squares and will make the 90-foot infield dimensions seem easier. This regulation distance is a test for the effectiveness of the other drills. Coaches may want to use a stopwatch to objectively measure how much improvement is taking place. Drills afford increased opportunities for needed repetitions. Footwork will come naturally with an occasional reminder from the coach. Use all four drills each day or place emphasis on one or more. Skills are difficult to store and should be reviewed often. The square formations provide an efficient method to duplicate game-like throwing challenges. They are particularly effective for infielders and catchers, but pitchers and outfielders can also benefit.